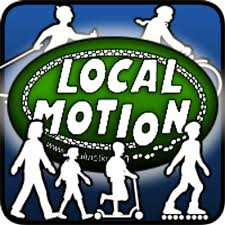 NPI Completes Local Motion Project - Network Performance Inc.
NPI Technology Management has finished a project donation to Local Motion, a member-supported non-profit organization promoting people-powered transportation and recreation for healthy and sustainable Vermont communities. IT Technician Drew Larsen provided the technology assistance for the relocation of an office suite. Lynne Graves, Director of Finance and HR, noted that Drew brought them back up to speed quickly. “He was very efficient and went over and above what we asked him to do,” she said. NPI is a technology partner, strategic advisor and problem-preventer. Their integrated IT services make the technology environment a powerful, reliable vehicle for reaching business goals. When technology works as it should, projects get done on time, security is rock-solid, and problems give way to productivity.